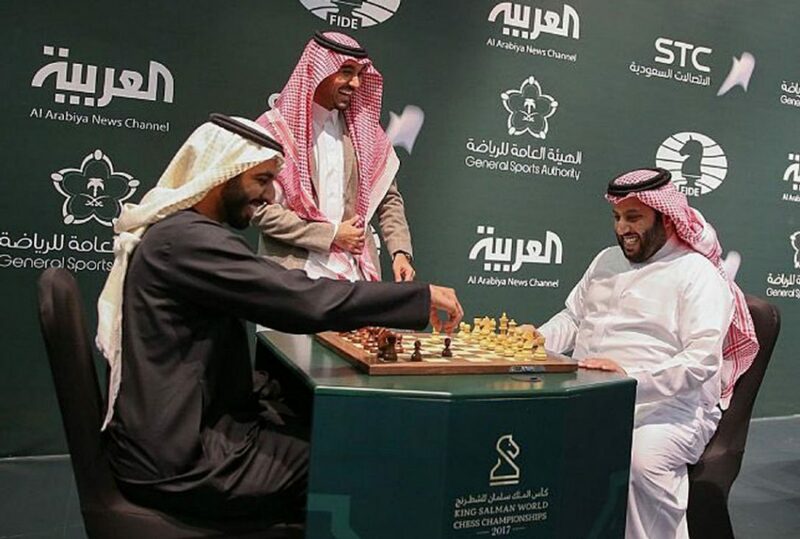 Saudi Arabia is hosting a world chess tournament for the first time after the country's top cleric issued a religious edict against playing the board game. However, players from Israel and Qatar are missing the tournament due to regional tensions. Saudi Arabia's top cleric, Grand Mufti Sheikh Abdulaziz Al-Sheikh, said in early 2016 that chess is 'forbidden' in Islam because it wastes time and can lead to rivalry among players. Similarly, top Iranian clerics have also decried the game, saying it can lead to gambling, which is not permissible in Islam. Despite the mufti's past criticism, Saudi Crown Prince Mohammed bin Salman has pushed for greater social openings, including lifting a ban on women driving that goes into effect next year, allowing concerts and movies, and easing rules on gender segregation.